Sarah has always had a strong passion for words. Since graduating from university, she spent most of her career working in the city as a professional corporate writer. After relocating to a remote outback town to be with her partner, a farmer, she started writing children’s books to compensate for a shortfall at the local library. Up until now, Sarah has only shared these books with her children. Granny, Wait for Me! 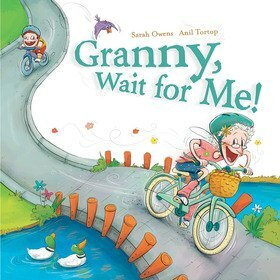 is Sarah’s first book to be published, with a promise of many to come in the future.